Yesterday I shared some photos of our depressing, falling apart basement. And how I still have hope for it. Today I want to share some ideas that I’ve dreamed up so far. 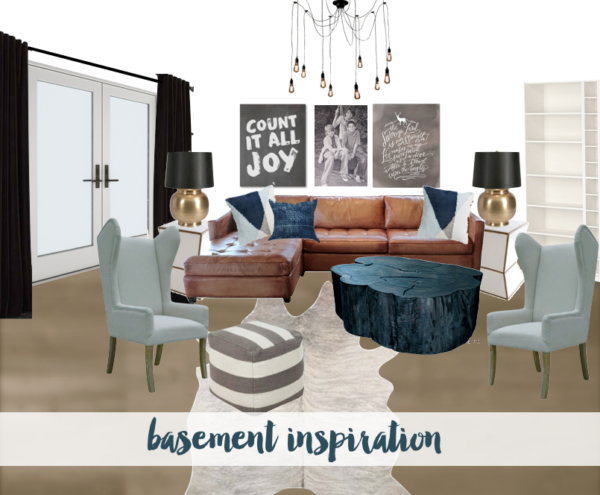 I started with Pinterest–creating a board of what seemed to feel right for our basement. I’ll continue to add things over time. Then, I went to my keynote app on my mac and created the collage above. Sometimes our basement feels absolutely overwhelming and hopeless. It has ONE redeeming quality that makes it not a dungeon–a door! This one door is the most important door/window in the entire house because for the basement–it’s the only natural light. We want to use the basement as a hangout room to watch movies and a bunk room for friends so, controlling the light, but also having a bright space that doesn’t feel depressing is important. These Ultimate Swinging French Doors with large panes of glass make the most of our limited natural light, along with some white walls and lamps, a dark dungeon can feel bright! These custom-made doors are my basement’s hero! Look at the difference a pair of drapes can make! I’m ALWAYS surprised at the way drapes change a space. And in a room like this basement, where there’s only one door that serves as both a door and windows–treating the door like a queen and draping her really softens the room. ..and below the doors all cozied up with drapes! The trick to draping doors is to hang the rod high and wide. I don’t want to cover any of the beautiful door or that precious natural light, so ideally, I want the drapes (when not pulled together to block light so people can sleep or watch a movie) to hang so that they cover the wall right NEXT to my door. That way they don’t interrupt with opening and closing the door, but are available to use if we need to close them. They serve two purposes–softening the room, and controlling the light. 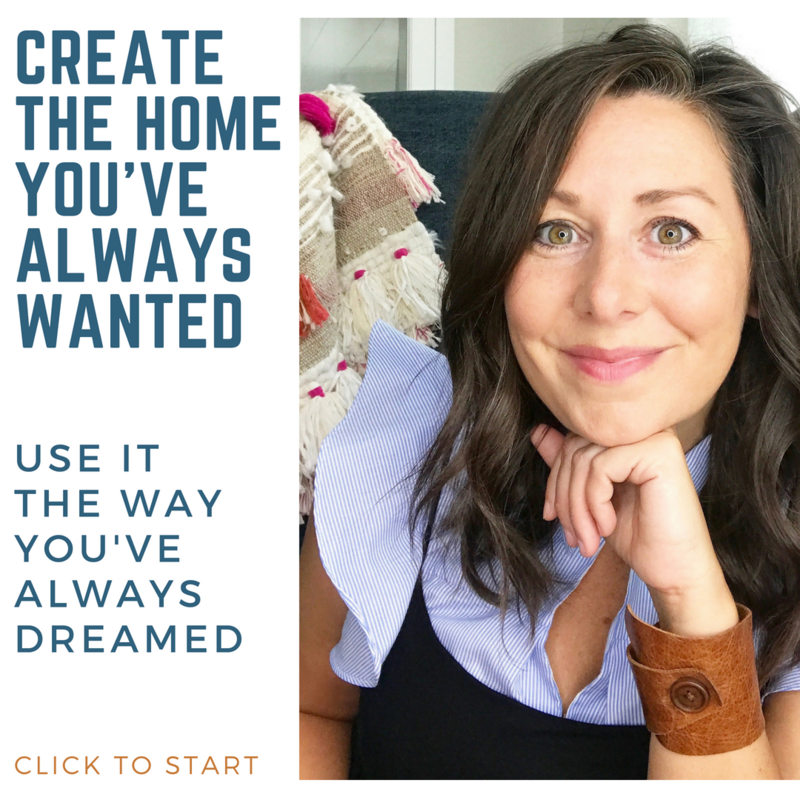 I hope you’ve started to get to work on that overwhelming room you’ve been dreaming about. 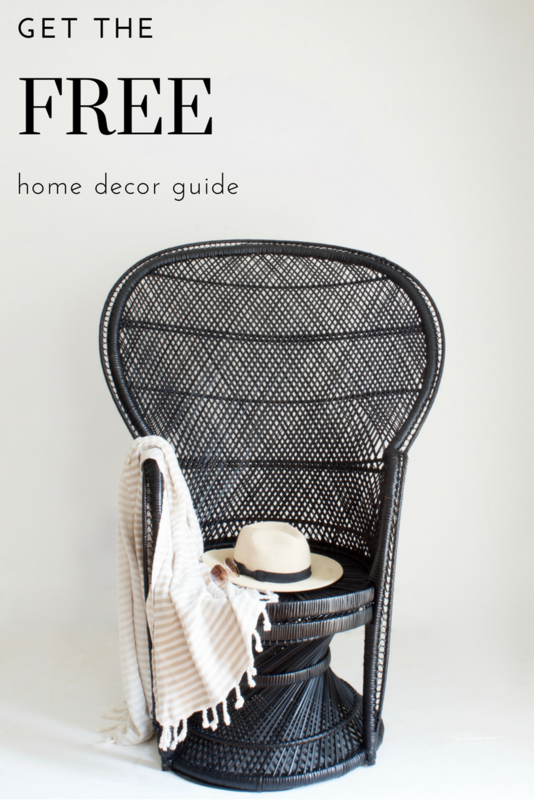 Step one–build a Pinterest board! And dream. Permission to dream and come up with crazy ideas right now, because you never know what great idea they might lead too. 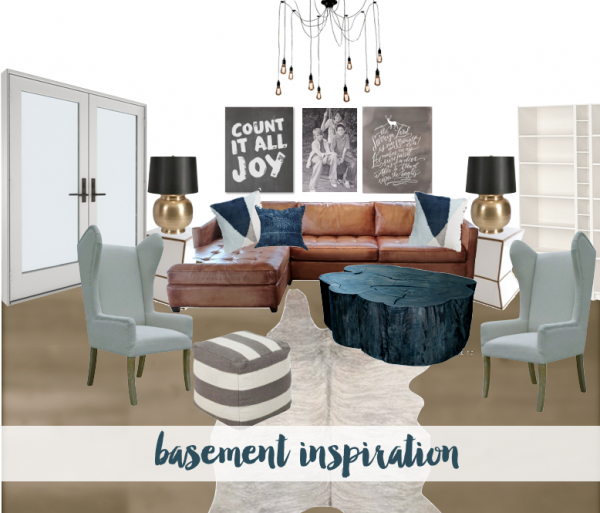 To find sources for my basement idea boards in this post, check out my basement Pinterest board. This post created in collaboration with Marvin Windows and Doors. If you are looking for custom-made windows and doors that are hand-crafted just for you, look no further. The right windows and doors act as good bones for a room–which set the stage for whatever style you are after. 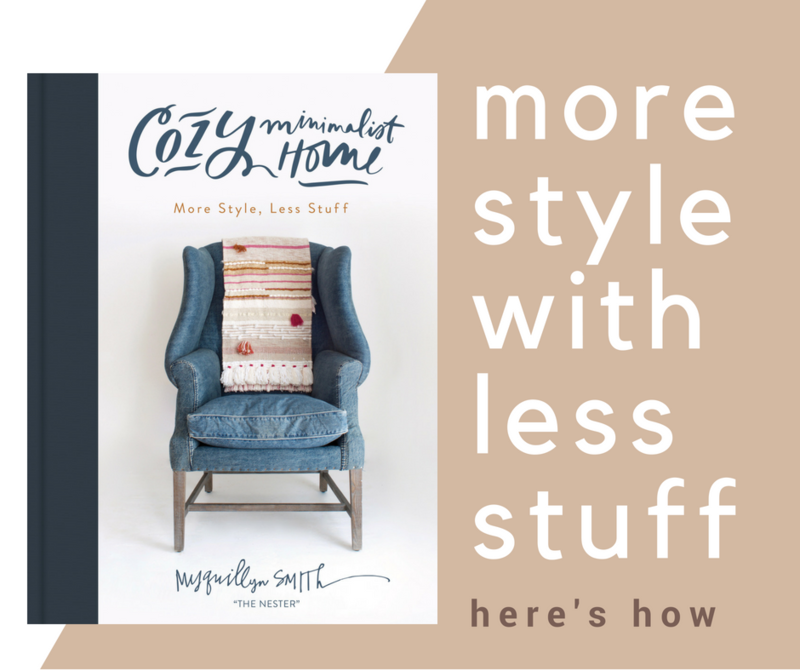 I’m finally learning the value of starting with good bones–and doors and windows serve a bigger purpose than opening and closing–they really can double as a style setter. Two birds, one stone! Looks great! I don’t know if your space will allow, but this reminds me of August Fields bunk room. Google it for inspiration! My brother had that octopus light fixture. Very cool. 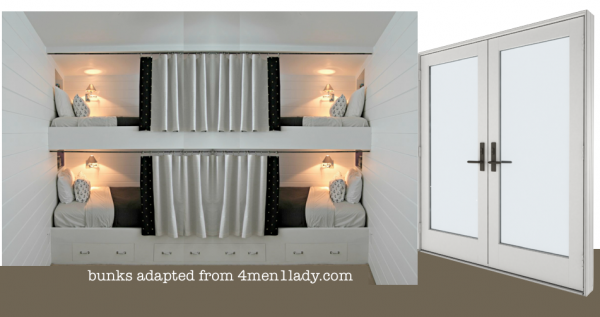 googled it: http://augustfields.blogspot.com/2011/02/boy-bunk-room.html and YES you are right–this is AMAZING AND dreamy and now I want my own bunk bed!!! 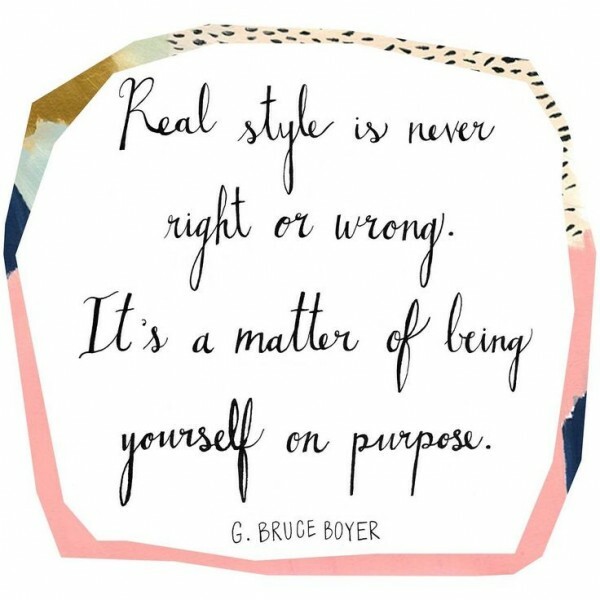 Love your inspiration boards! 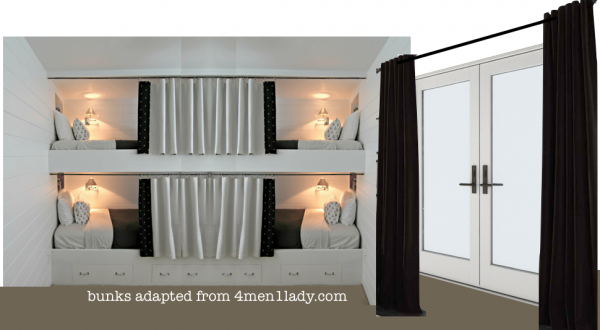 And LOVE the double bunk bed idea! Thanks for the shout out! 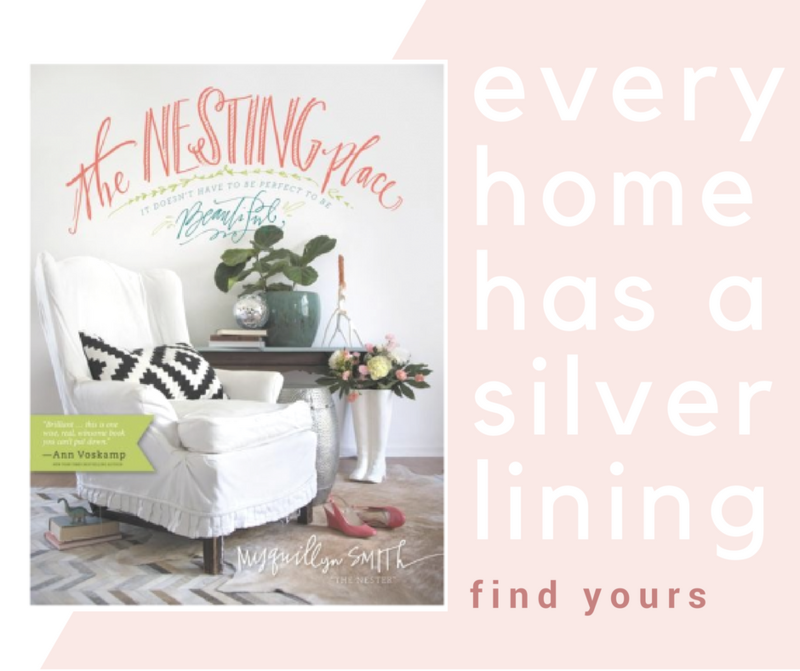 Yours are just so great–lights, privacy drapes!! EVERYTHING!! Nice board! And love the drapes. I saw a rather small home featured in a magazine recently where the dining room was right next to the kitchen. The homeowner hung floor length drapes (and yes, the rod was high and wide) over the dining room doorway. She said she could pull the drapes when they had dinner guests, and no one would see the mess she had made cooking. It made the dining room really cozy, and I’m sure guests weren’t distracted by pots and pans in the kitchen. 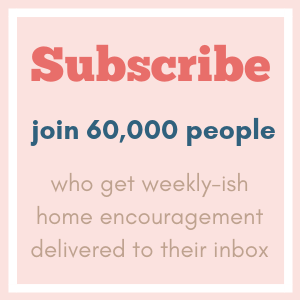 You inspired me to make a dream kitchen Pinterest board yesterday. Thanks for leading the way and giving us permission to dream! Looks great so far. Do you think you’ll be able to keep the screened in porch? Or will that need to be modified/scrapped to bring in more light? Maybe a pergola instead? You remind me of myself Nester! I knew we were not going to have a big wedding, but at 2 months before, I hadn’t thought about what I wanted, cake, food, music, flowers, much less having bought a wedding dress. My poor Mother, here she was trying to help me put together a wedding, 150 miles away from my hometown and I just kept telling her not to worry. I’m thinking about what you said, “planning before you need it”, I never do that! I wait until it’s project time and then start pulling things together here and there and drive myself nuts. It’s such a simple rule, no wonder I hadn’t thought of it! I’m putting it on my computer screen, “PLAN BEFORE YOU NEED”. Thanks! When we moved into our home in 2010 we replaced our patio door as one of the first things in our remodel. It’s an eastern exposure so the sun comes in pretty good in the morning. It was a no-brainer to put in drapes. We hung the curtain rod high and wide so that when I pull back the drapes you see all of the gorgeous woodwork my husband made as well as our view into the backyard. For a long time it also highlighted the HORRIBLE falling-down deck too but we fixed that last fall and now I couldn’t be happier! Ummm. So I don’t know how I missed this post, but I am freaking out. ALL THIS. Going to your Pinterest board.